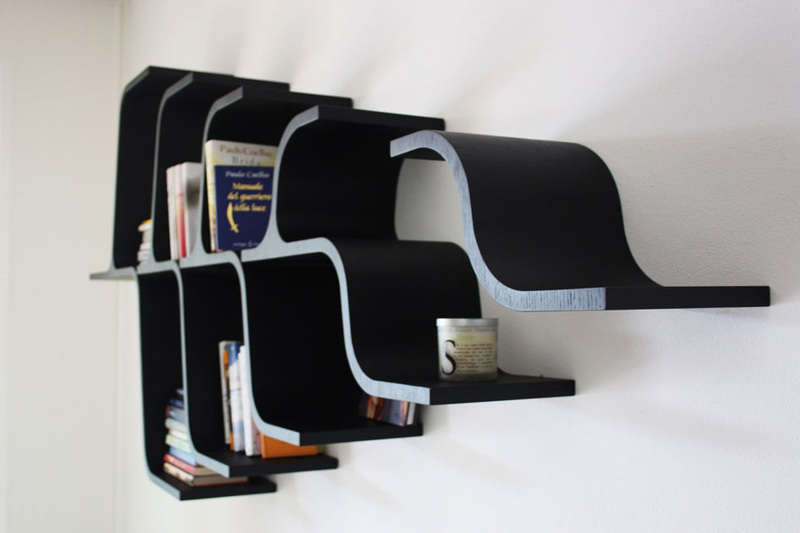 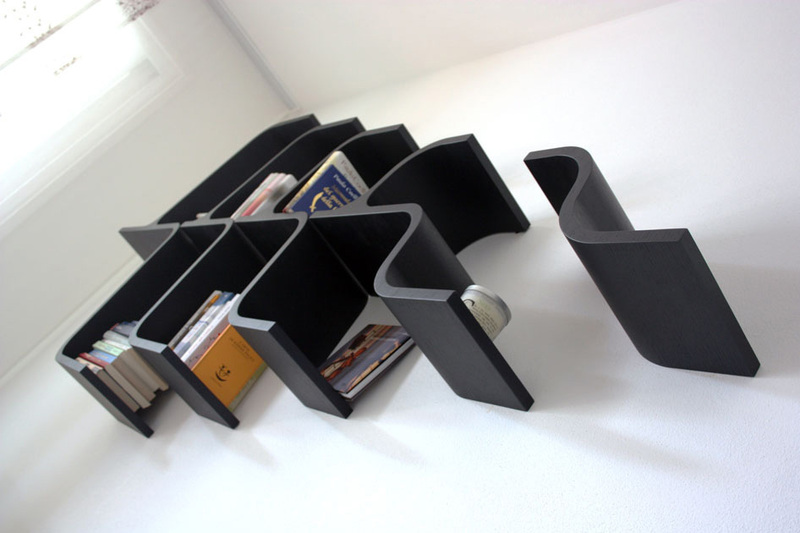 Linfa is something more than a bookcase. 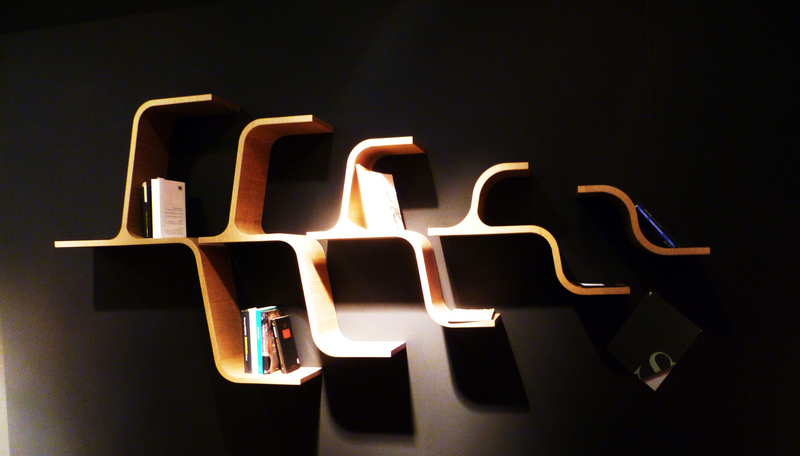 It touches the very meaning of a “real” metaphor made up of only two essential materials: wood, and books. 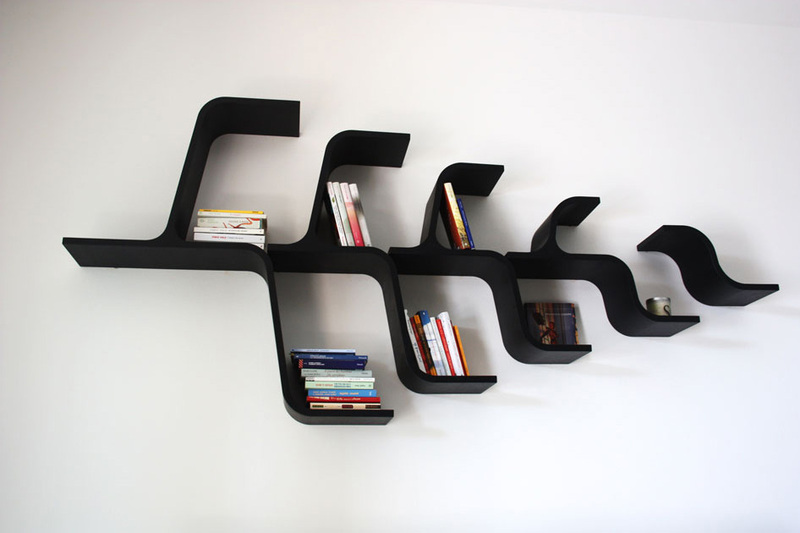 For the sense of its leaf shape is clear and complete only when the books are actually placed in the appropriate spaces, as key elements of the structure. 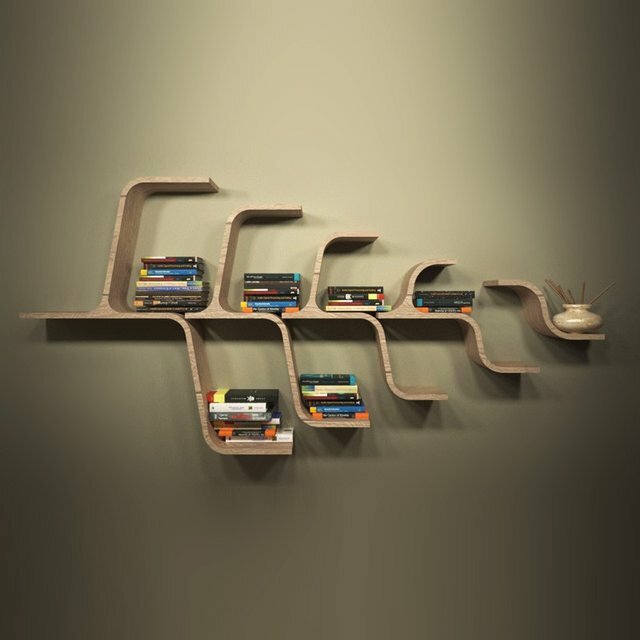 Books, therefore, like lifeblood, able to filter and process existence through a spiritual process of photosynthesis, essential to the human spirit.